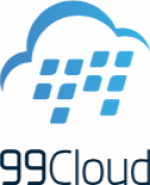 99Cloud Information Service Inc. was established in 2012.It is first Chinese professional OpenStack service provider dedicated to OpenStack cloud platform in terms of product development, service delivery, certification & training, and helping enterprises in OpenStack deployment. 99Cloud is the sponsor and organizer of Trystack.cn, the largest OpenStack community in China, and is also China's largest professional OpenStack training institution. 99Cloud has now more than 60 staff, with offices in Shanghai, Beijing, Wuxi and Huzhou. 99cloud ranks 1st of contribution in China(Liberty). We provided OpenStack based solution, which include front-end optimization, core framework optimization, backend optimization and Hyper-Converged application, specialized on financial Cloud. Animbus Remotely Managed Private Cloud offers a pay-as-you-go model cloud service in an isolated infrastructure to our clients. With our managed services, you are able to focus on your main business without worrying about your cloud infrastructure. OpenStack Powered Platform 2017.09 . See full results [+]. This product uses OpenStack's Ironic Bare Metal service. Ironic allows users to manage bare metal infrastructure like they would virtual machines and provides ideal infrastructure to run container orchestration frameworks like Kubernetes to optimize performance.